Speculation has emerged that Jaguar could drop every last one of its internal combustion engines from its range in less than 10 years, as part of a wholesale move to electric propulsion. Slice it any way you like; that timescale is a big deal. Hurrying may also be Jaguar’s best chance to save itself from a present that hasn’t quite turned out the way it wanted. The British brand makes lovely cars. They’re technologically advanced, generally enjoyable to drive and they look great. In theory it’s a winning formula, but sales are still comparatively low when stacked against any of its big three German adversaries. The potential reasons for that are several. Firstly, Jaguar had heavily targeted the business driver; the rep who spends 40,000 miles a year pounding up and down motorways. It’s a sensible business decision to drive sales volume. This company car user-chooser has traditionally preferred saloons. Diesel ones. 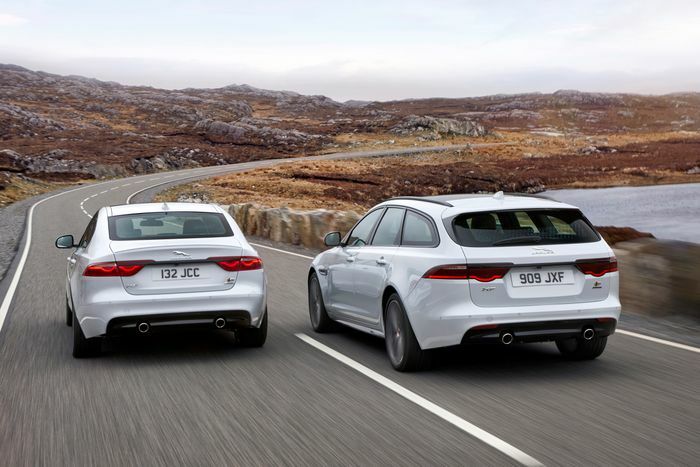 As such Jaguar has spent a fortune investing in its bread-and-butter saloon ranges, the XE and XF, only to find its buyers’ collective taste buds wandering deep into the fields of jacked-up hatchbacks and SUVs. Likewise the company threw many, many English pounds at its Ingenium four-cylinder diesel range. The development programme was supposed to be the heart of Jaguar’s cutting-edge, low-emission assault on the Germans for generations to come… but then Dieselgate happened. The Volkswagen Group-centred disaster for diesel has seen derve sales plummet across Europe, Jaguar’s main market for diesel cars. Sure, the company has covered some bases with a new Ingenium four-cylinder petrol engine and the F-Pace SUV, which is now becoming a common sight in the UK, but key pillars of Jaguar’s business model have been swept out from under it. To add insult to injury, much of the media who have driven the Ingenium 2.0-litre petrol engine say it isn’t all that great versus the other options out there. A missed opportunity, perhaps. The Jaguar I-Pace, on the other hand, seems to have made half the automotive world rather excited. It’s a blend of SUV-inspired ride height and coupe styling that both makes it a desirable thing to look at and hides its genuinely massive size incredibly well. Here’s a tweet featuring an I-Pace dwarfing a Tesla Model S – itself a car not exactly known for its smallness. Exhibit A: The I-Pace really is huge! Speaking of identity, Jaguar has been ebbing into and out of the same crisis for decades. From its financially ruinous attempts to build a V12 GT car that turned into the flimsy XJS, to the disastrous attempt to reinvent itself with the XJ220 just as the market turned against the idea, to the retro-inspired but point-missing S-Type and Mondeo-based X-Type, to the wholesale reinvention of the brand under the penmanship of Sir Ian Callum, and now this… Jaguar simply hasn’t been able to build enduring success yet. If it turns out to be true, this latest move signals another galactic-scale cutting of the company’s losses and a tacit admission that its grand 21st Century plans, which have produced many likeable and memorable cars with (Ford-designed) six and eight-cylinder engines, have ultimately failed to grow the business enough. 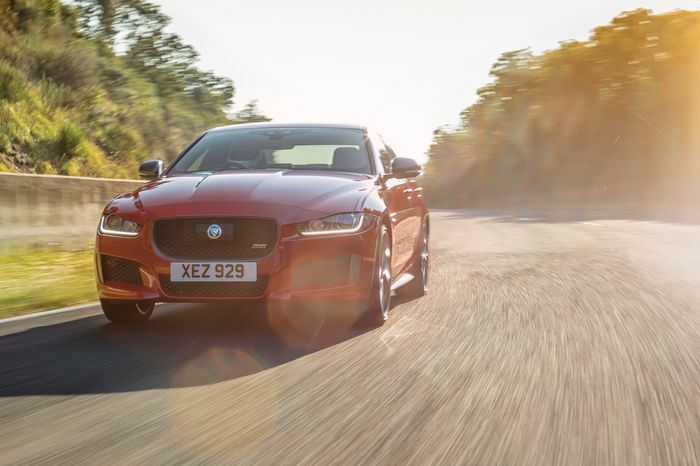 Jaguar’s four-cylinder options just haven’t been good enough to tempt a public that is also moving away from saloons just after the English car maker has poured a tonne of money into them. It’s a perfect storm from within which Jaguar needs to take extreme action if it wants to escape and prosper. That’s why drawing a line under any future new engine programmes is the right thing to do. Sure, we adore many of Jaguar’s Ford-based V6s and V8s and we’ll miss them like hell, but with JLR’s engine contract with the Blue Oval ending in 2020, they’re going anyway, and going very soon. Where that leaves the F-Type for the remainder of its life, we’re not sure. The future of motoring is a lot quieter. 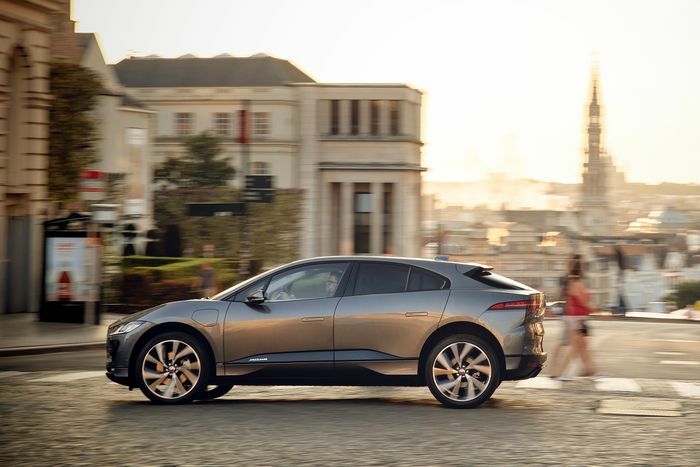 The sooner Jaguar moves to take ownership of that, maybe even managing to get ahead of its three German nemeses if buying trends suddenly swing towards electric cars before 2030, the more chance that it will emerge as a leader in the new age.